Making cranberry garlands is tedious work! I called it quits after threading just a cup of cranberries, which turned out to be enough for our two-foot tall tree. 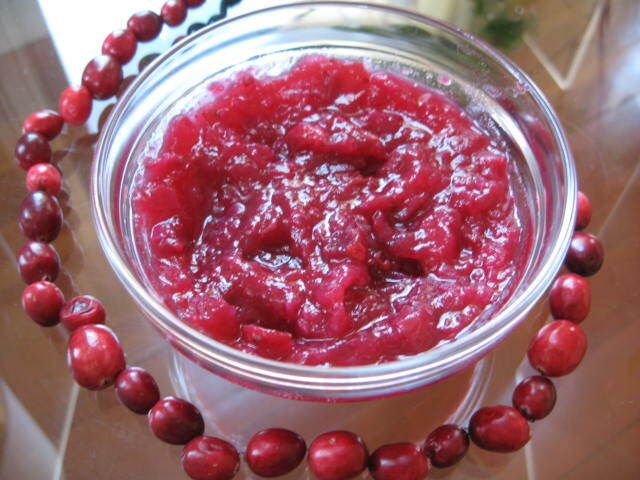 This left me with about 5 cups of leftover cranberries – a great inspiration for canning. 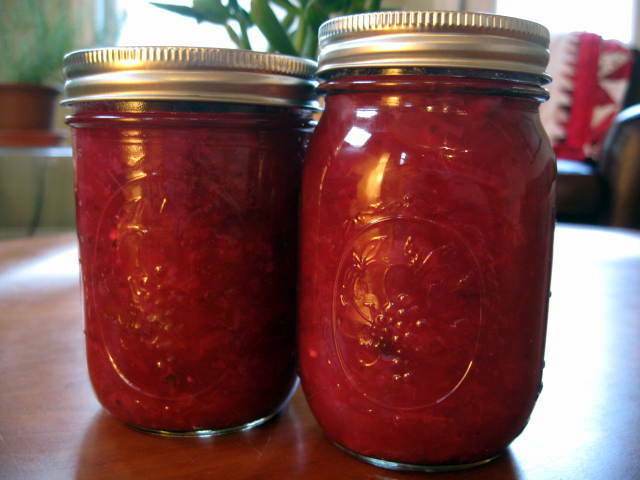 This was most welcome, since cranberries are the very last of the season’s local fruits and I’ve been eyeing my already-dwindling preserve stash with unease. Though this recipe is for a salsa, you shouldn’t feel you can eat the results only with burritos and tortilla chips. You can consider this a spread as much as a salsa. In fact, I prefer it on a toasted piece of whole-grain bread – this no-knead multi-grain peasant bread from The Kitchn, for example. If you are canning the results, spoon the salsa into your sterilized jars, wipe the rims, add lids and rings, and place them in a hot water bath for 30 minutes. 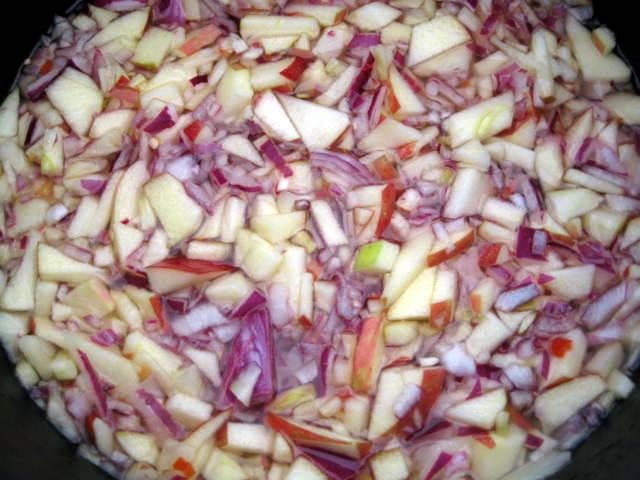 Remove and wait for lids to pop, storing in fridge for several weeks if they don’t.